CREW spent the preceding week deconstructing Canadian Mortgages Inc., the progressively expansive shooting star out of Ontario and we have learned a few things about what it takes to drive real results in today's marketplace. From a high level, unconventional is good. So much so in fact, that a brokerage can thrive simply by innovating an agile structure and putting the right processes in place to industrialize the process. Not only does today's complex, ever-evolving-at-light-speed market require it, it's almost necessary. In other words, outside the box is the new box. "The nuts and bolts of what we do is very simple, you know. 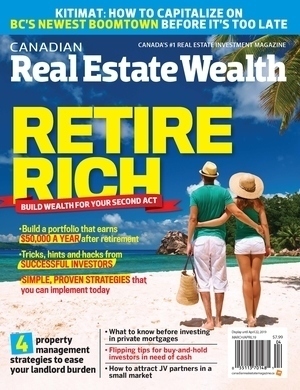 We represent the investor to help them put their funds into suitable investments," says our source, CMI VP Bryan Jaskolka. Whether that's a low yield first, or a high yield second. Whether it's cash funds, or registered funds. Whether it's money into an individual mortgage, or money that clients are investing into CMI's mortgage investment corporation for a more passive approach. Whatever the case may be, Jaskolka maintains that process is critical. "All of our services are driven by high standards, the automation and software, the progressive policies to keep things moving. But, it's also our approach to that process, our transparency in how we communicate with investors that's really our strength." Their traction in the marketplace is even more surprising when one stops to consider that they have almost no marketing to speak of. And, while the term "relationship industry" gets bandied about quite often in real estate, CMI seems to embody the notion with absolute determination. "In terms of our investor program we hardly do any marketing at all. An overwhelming portion of our investor pool found us through referrals or word of mouth. We have would we consider a relatively exclusive group of under a hundred investors that are regularly active in the market. Some of whom have 8 or 9 figures. So we don't need hundreds of thousands of investors making a one-off play in the market, we prefer to foster relationships in our small, active and well-funded pool instead." Ultimately, as the industry experiences the heavy downpour of change in today's real estate climate, unconventional approaches such as CMI's seem to thrive by making a place for themselves in between the rain drops. If that place is here to stay, time will tell, however with this kind of traction it would behoove anyone to doubt that CMI seems here to stay. We’re not a bank. We don’t work for a bank. We work for you, our client. We’re one of the fastest growing mortgage companies in Canada — and our approach to mortgage financing is as fresh as it gets. We believe in putting the power in your hands, where it belongs. We’re tapped in to a nationwide network of more than 250 top lenders. We make them compete for the privilege of your business – not the other way around. We cut through the red tape, filter through the fine print, and get straight to the bottom line. Then we bring you the best offers on the market, answer every question you have, and let you decide on the loan offer that makes the most sense to you. From the first phone call to the final signature, we’ll fight to get you the lowest interest rates, the quickest approval, and the most cash possible. 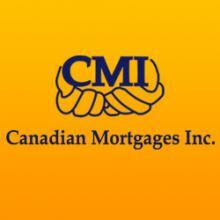 You’ll see proof of the CMI difference in your bank account every month.